Tina Nix, You’ve Been Caught in the Act! David Palmer, You’ve Been Caught in the Act! RUSH Construction, Inc. Superintendent Awarded for Saving Kennedy Space Center from Hazardous Gas Leak – TWICE. General contractor, RUSH Construction, Inc.’s, Superintendent Justin L. Grantham has been awarded a “Recognition Award” by NASA’s Executive Safety Forum for going above and beyond normal safety procedures while working on a RUSH-LINK (RUSH’s Service-Disabled, Veteran Owned, Small Business Joint Venture) project. September 9, 2013 Information, SafetyBy RUSH, Inc.
One of our successful safety incentive programs is “You’ve Been Caught in The Act”. 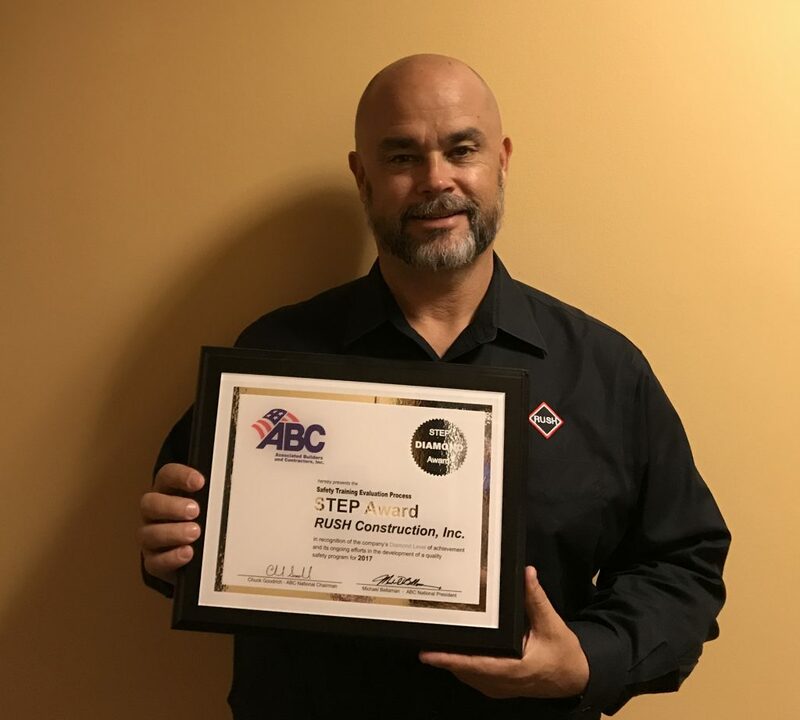 This program promotes a safe job site environment by providing all site personnel an opportunity to win awards “on-the-spot” if they are observed going above and beyond the normal safety requirements. All winners are awarded a $25.00 gift certificate to a local retailer or restaurant. December 20, 2012 Information, SafetyBy RUSH, Inc.